Do you have a princess-in-training who would like to attend Royal Prep? If so, then go for one of our adorable Sofia the First costume ideas for Halloween. Your little one can put on one of our many Sofia’s classic purple gowns as she learns everything to become the best princess ever. You should know that being a great princess does not only mean wearing the right dress. It is about how you behave and how you treat others. She can learn to watch the swans, sew, and welcome guests to the castle for tea parties. When a problem happens, she can ask for some advice from any of the Disney Princesses. Since she wants to join their ranks someday, she can become part of a group theme with other girls. Sofia the First makes a fun character to portray on Halloween. There are several costume choices for your little one such as light up Sofia the First costumes, deluxe Sofia the First costumes, and classic Sofia the First costumes. Remember that Sofia the First is one of the most enchanting Disney Princesses, so wearing one of our Sofia the First costumes for girls your daughter will surely draw as much attention as possible. Sofia the First costumes are perfect not only for Halloween, but also for birthdays, anniversaries, and different costume parties. By adding accessories, you can not only enhance but also create a fabulous Sofia the First costume for the next Halloween party. 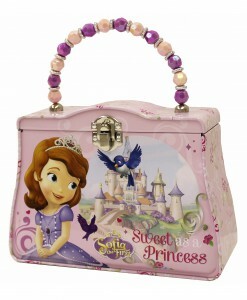 Make your little one dress up in any purple dress, finish her look off with one of our Sofia the First purses, and an extraordinary Sofia the First costume at an economical price is ready! A light up dress, a classic Sofia the First costume, or deluxe one – no matter what Sofia the First costume idea you are looking for, as long as we have stocked different Sofia the First costumes for any taste. All of our Sofia the First costumes and accessories offer your daughter a great opportunity to team up with her close friends for some very special Halloween photos. With such a variety of Sofia the First costume ideas, it is difficult to pick up just one. We have all Sofia the First costume and accessory needs covered with free delivery anywhere in the USA, Canada, and the UK. Buy also other Disney Costumes: Little Mermaid Costumes and Pirates of The Caribbean Costumes For Halloween or any parties.